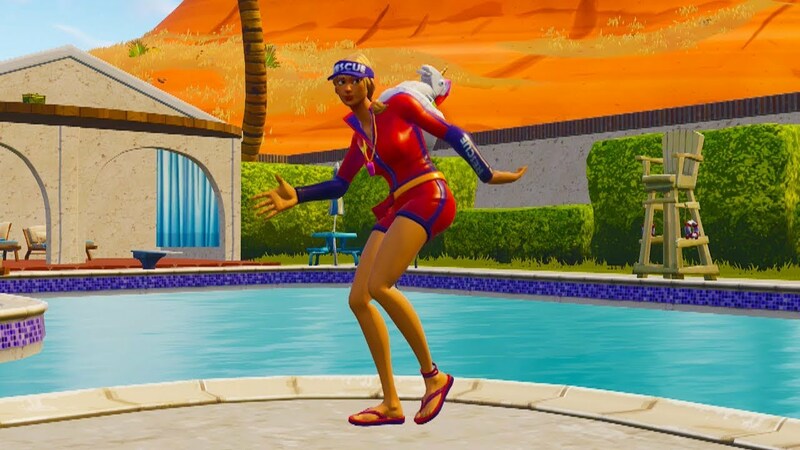 Rapper 2 Milly made good on his word, and has filed a lawsuit against Epic Games for using his Milly Rock dance as one of Fortnite Season 5’s emotes. 2 Milly filed a lawsuit earlier this week against Epic Games, and is seeking an injunction and monetary damages over the use of his Milly Rock dance in Fortnite, known as the Swipe It emote. According to information on the suit obtained by The Hollywood Reporter, the complaint states use of the Milly Rock dance is in violation of “the right of publicity,” citing other emotes in the game based on popular or famous dance routines as a continued theme of ‘violation’. Specific examples of moves used by Epic Games in the suit include Fortnite’s “Ride the Pony” emote which is a frame-by-frame recreation of Psy’s dance Gangnam Style. “Epic has copied the dances and movements of numerous African-American performers, and, most pertinent here, Terrence Ferguson’s Milly Rock dance,” stated Beck. On Tuesday December 4, 2018, 2 Milly filed an application for a Milly Rock copyright registration four years after it was released. You can read the full complaint through here. Fortnite’s Swipe It emote could spark a legal battle between rapper 2 Milly and Epic Games. Epic Games takes its inspiration for Fortnite’s emotes from all over the place, including pop culture, other video games, and even its fans. But rapper 2 Milly has told CBS that he plans to pursue legal action following the use of his Milly Rock dance as one of Season 5’s emotes. The emote, called Swipe It, could be unlocked at Tier 63 of Season 5’s Battle Pass which cost $9.50, and players could then buy it outright. Earlier this year, Kotaku reported that Chance the Rapper had tweeted about Epic’s use of existing dances as emotes. “Fortnite should put the actual rap songs behind the dances that make so much money as Emotes. Black creatives created and popularized these dances but never monetized them. Imagine the money people are spending on these Emotes being shared with the artists that made them,” Chance tweeted at the time. 2 Milly actually responded to the use of his dance in the game at the time, saying, “I do feel like Chance was very correct in what he said and that if you would have incorporated the song along with the dance title ‘MillyRock’ in Fortnite instead of not using the record and changing the name to the ‘swipe it’ stealing away from my artwork then I’d might be ok with it if we worked out some type of agreement. Meanwihle in-game, Week 8 Challenges are live, and you can read up on how to earn XP and Battle Stars right here.